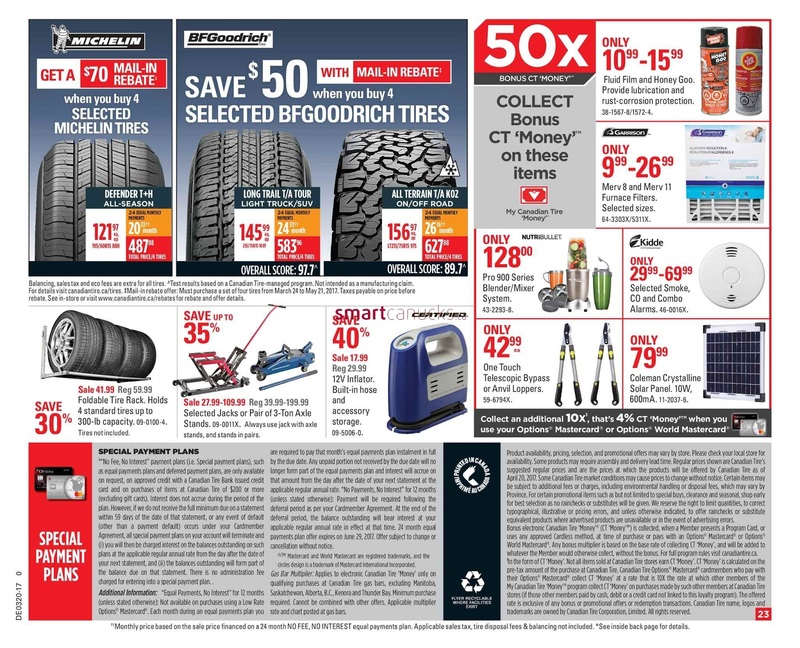 Canadian Tire Flyer May 12 to 18, 2017 West. Love your lawn 3-in-1 wheel drive gas mower only price $579.99, 46", 20-HP lawn tractor, powered by briggs & stratton endurance engine with readyStart technology only $2399.99, 18" StaySharp Max reel lawn mower save $30, 14" Reel Mower sale 149.99 save $30, 16" 10A Electric Mower Mulches and bags sale 239.99 save $50. and more can be find on page 2. 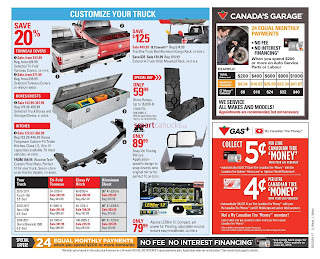 For more detail products like The Joys of, Outdoor Cooking, Outdoor Relaxing, Pitch a Perfect Tent, Splash into summer Just a simple click on the image bellow for details Canadian Tire Flyer May 12 to 18, 2017 - West. 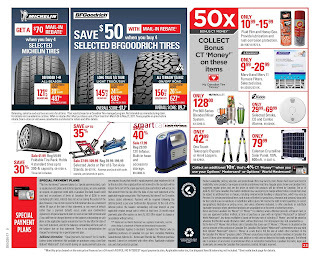 Canadian Tire Flyer Valid May 12 to 18, 2017 - West. 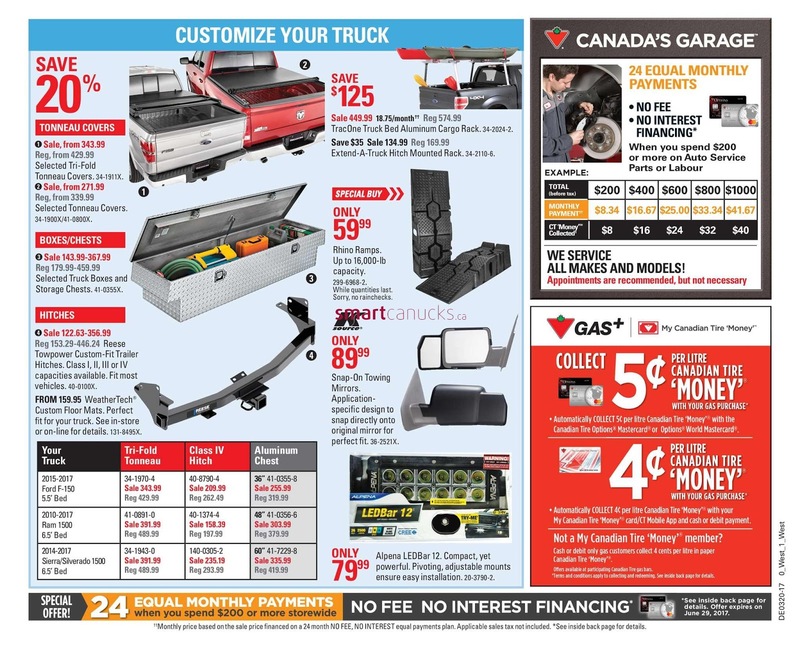 Subscribe this category for more of Canadian Tire Flyer products and deals.